Hosted by the one and only Paul Finebaum, this event promises to be unlike anything else in Birmingham. Silent auction items include behind the scenes SEC Championship experiences as well as many other sports and entertainment packages. Please make plans to join us for the first annual, I’m With Mike 5K Run. Starting from Red Hills Brewery in Homewood, race options will include chip timed 5K, Patient/Hero 5K, 1 Mile Walk, Kids Dash, and a Doze for Dad option. Drive prostate cancer out of Alabama. 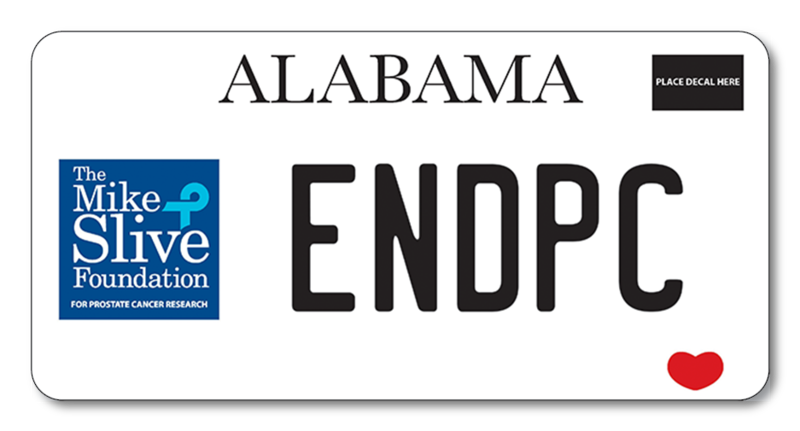 Sign up with the Alabama Department of Revenue Motor Vehicle Division and commit to placing the Mike Slive Foundation specialty license plate on your vehicle. We need 1,000 pre-commitments to put this license plate into production. Funding research to eradicate prostate cancer as a major public health threat in our lifetime.